Karl Kleven has recently joined Unity Insurance as an Insurance Agent. He was previously employed at Thief River Ford in Thief River Falls as a Sales Consultant. 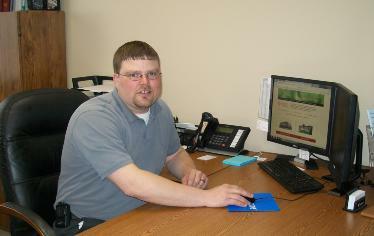 Prior to Thief River Ford he worked at Falls Building Center and also Kleven Ford in Red Lake Falls for several years. 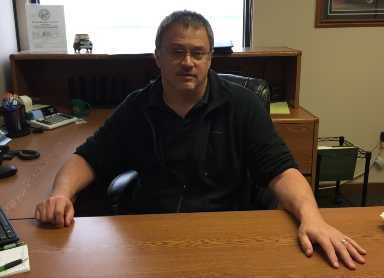 He earned his degree in Automotive Service Technology at Northwest Technical College of Bemidji. Karl resides in rural Red Lake Falls with his wife, Carly, and their two children. He serves as one of the assistant chiefs on the Red Lake Falls Fire Department and was a former coach, in various levels, with the Red Lake Falls Blue Line Club. He is very happy to be working in Red Lake Falls once again and looks forward to providing quality service to Unity Insurance current and future customers. Unity Insurance aims to provide insurance services tailored to our customers’ needs. Paired with the philosophy of Unity Bank North, our goal is to give you peace of mind by knowing that you and your belongings are protected against the unexpected risks you face every day. Our mission is to be your preferred insurance provider. Steve Thibert has recently joined Unity Insurance as a Property/Casualty Insurance Agent. Prior to joining our team, he was the owner and manager of the Thief River Falls Hometown Sears Store for the past six years. He enjoyed working at Arctic Cat Inc. for approximately 20 years before that. Red Lake Falls has always been home for Steve and his wife, Jane, where they proudly raised their three children, Samantha, Alex, and Kyle. Steve is actively involved in the community and still enjoys serving on the Red Lake falls Volunteer Ambulance after 30 years. He is also a reserve officer for the Red Lake County Sheriff's Department and a member of the Marshall County Mounted Posse Search and Rescue Team for the past 10 years. Steve is excited to be back working in Red Lake Falls and looks forward to helping you with your insurance needs and providing you with quality customer service.